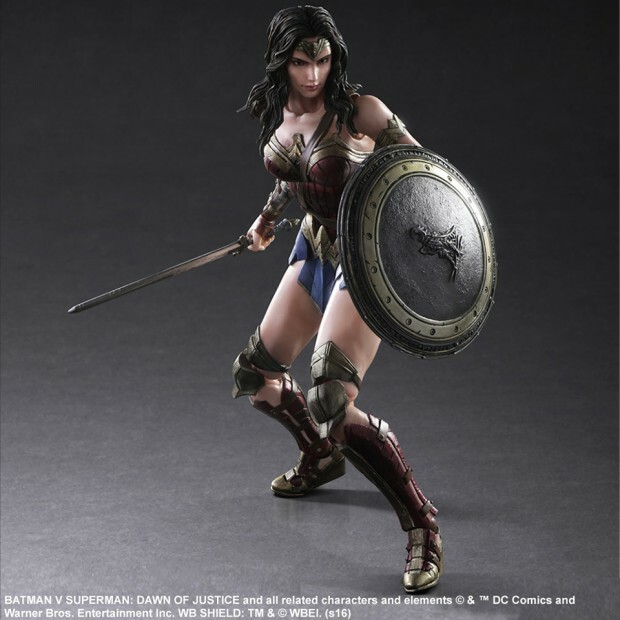 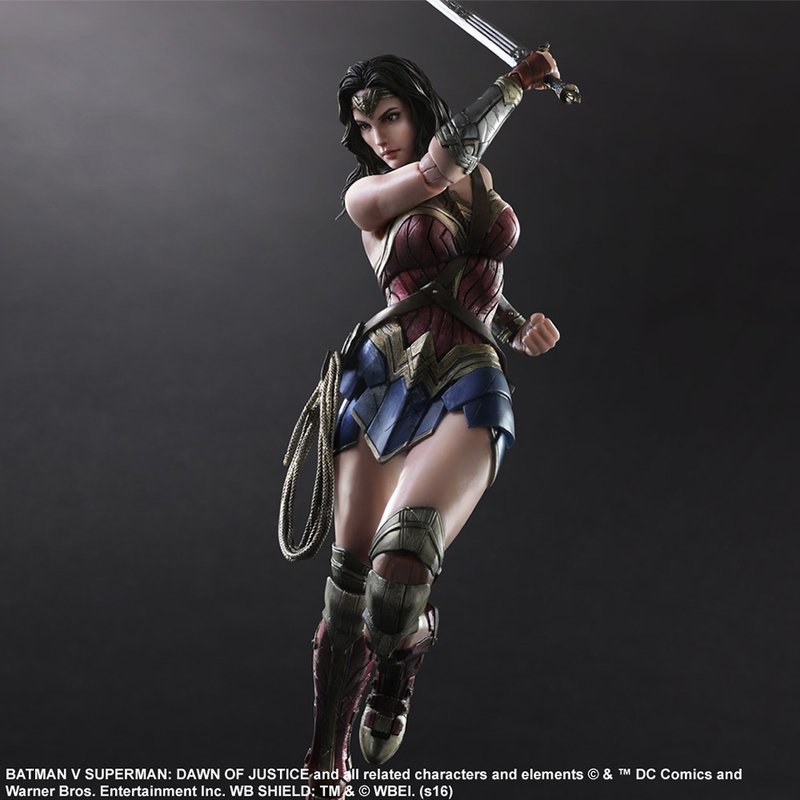 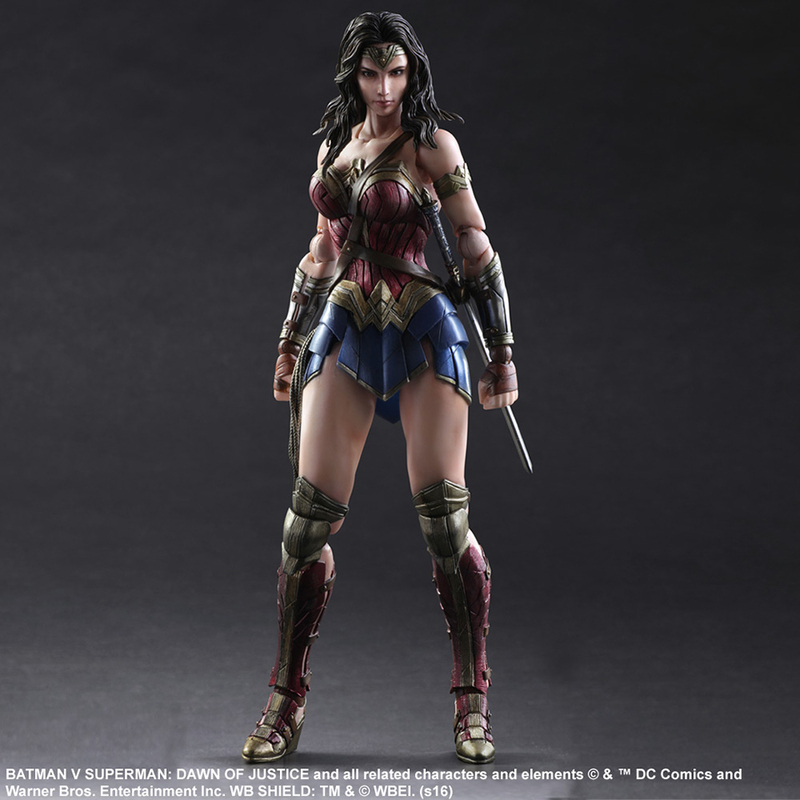 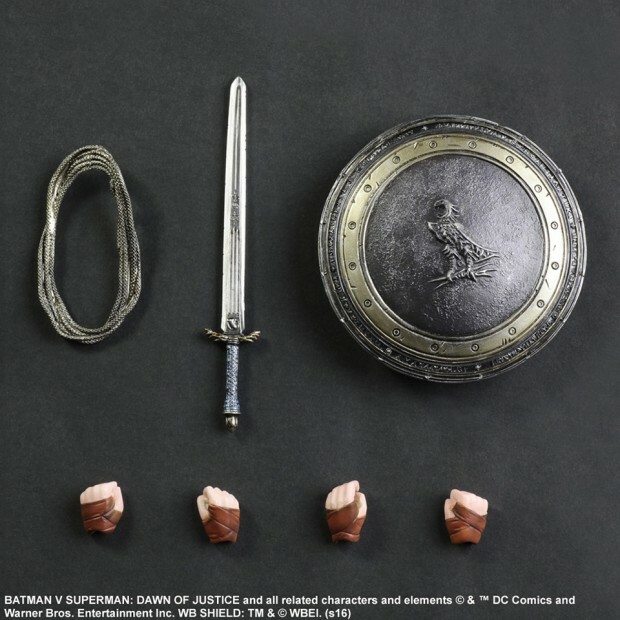 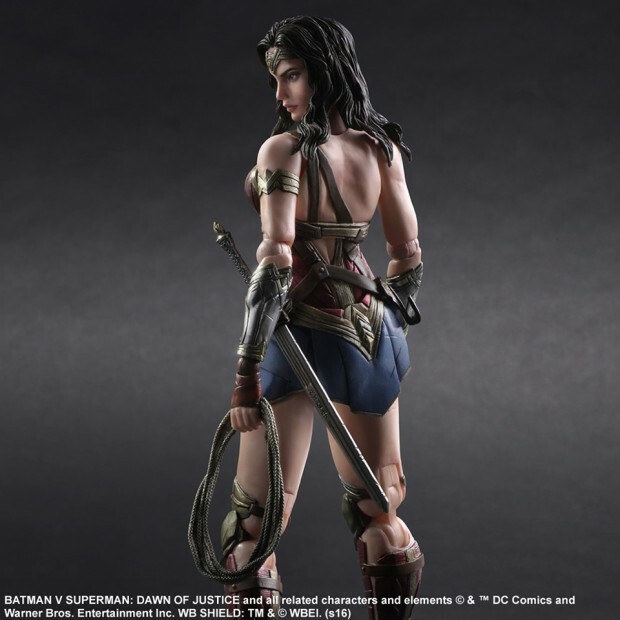 Square Enix completes the trio of heroes in Batman v Superman: Dawn of Justice with the 9.8″ Play Arts Kai Wonder Woman action figure. 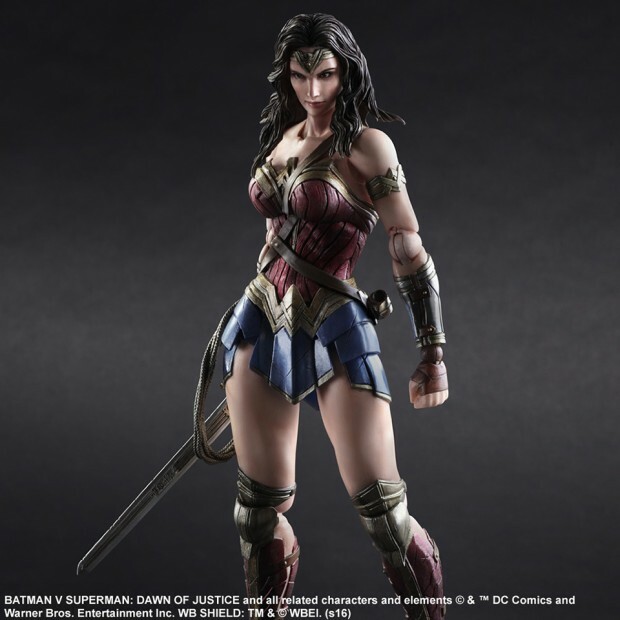 I’m not a fan of its face, but the details, articulation and accessories seem to be on point. 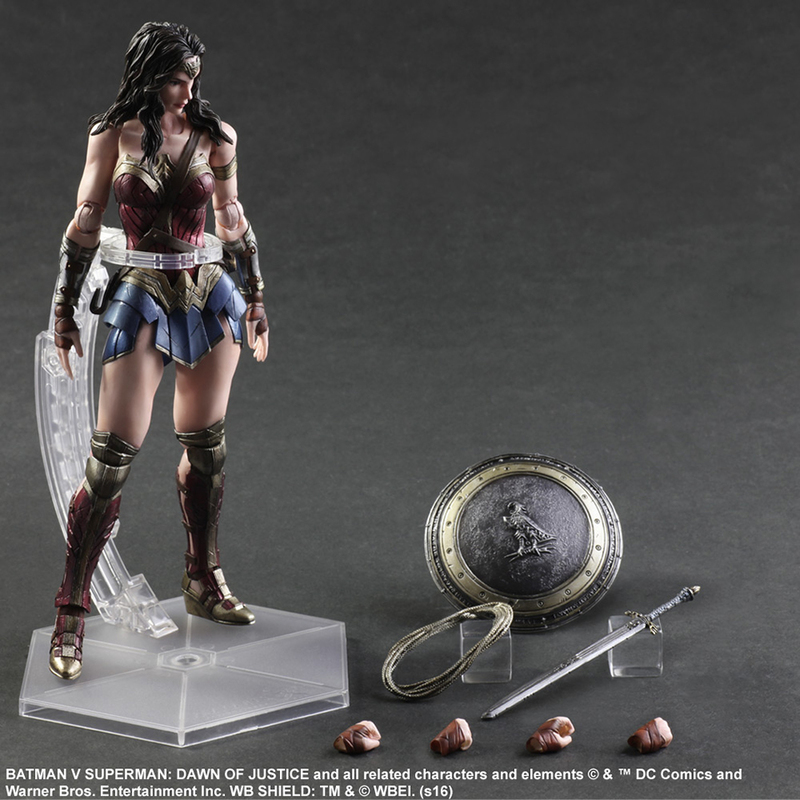 She comes with three pairs of hands, the Lasso of Truth, a sword and a shield. 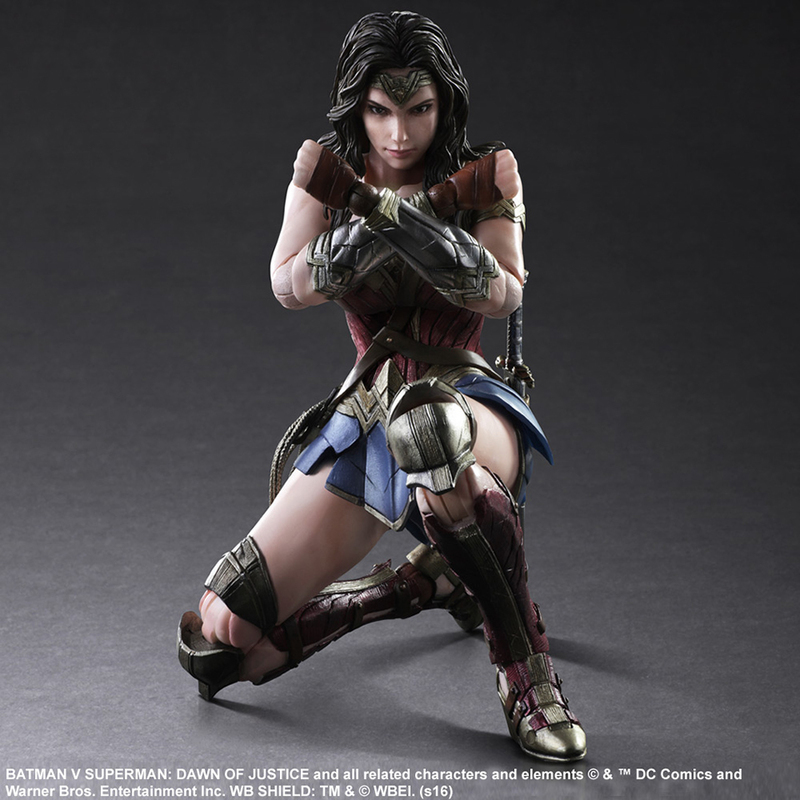 Her hair and skirt are made of flexible material, giving you additional options for posing. You can pre-order the figure now from Amiami for ~$100 (USD).